I would like to ask you where can i recycle my glass bottles because i have many glass bottles at home but don’t know what to do with it! 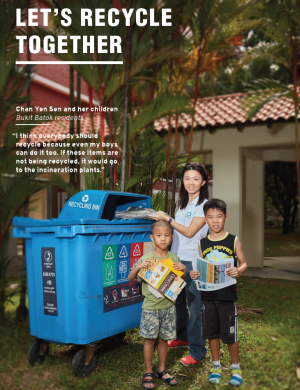 Hi Gwendolyn, you can recycle them at home through the National Recycling Programme (http://www.zerowastesg.com/2008/12/08/start-recycling-at-home/) or through the public recycling bins (http://www.zerowastesg.com/2009/02/13/where-can-i-find-recycling-bins/). If you really have too many, check with the glass collectors at http://app2.nea.gov.sg/topics_collectrade.aspx. 1. olive oil glass bottle can recycle? it’s emptied but do i hv to wash it? wil b a waste of water if i wash it. so shall i just throw into rubbish bin if i need to wash? it’s a waste to throw them like tat, ‘cos they r really good quality glass. didn’t see it stated on Can Recycle list. 2. fluorescent lighting tubes can’t b recycled, what abt light bulbs? same logic.. can’t also? didn’t see it stated on the Can Recycle list too. 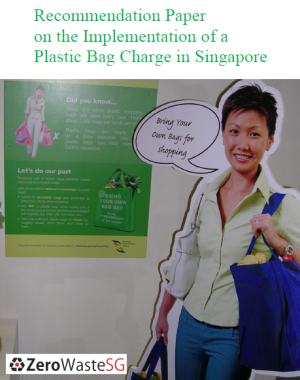 3. how do i put glass into recycle bag? shall i put them into a plastic bag before i put them into the recycle bag? tis point is not mentioned or pointed out anywhere, shan’t we put into a plastic bag 1st, so that wen the collectors collect & throw the bags, the glass inside wil smash but not mix with other materials, & also not to hurt the p’ple who sort the materials. I would like to start a glass recycling biz. Where can I sell them and any advice? @Govin, you may wish to check with the glass collectors at http://app2.nea.gov.sg/topics_collectrade.aspx. We are looking for cullet glass scrap. If interested, please offer with details. Hi where can I sell my glass waste for cash? @Phew, you may wish to check with the glass collectors at http://app2.nea.gov.sg/topics_collectrade.aspx. Yes! I have one potential UK investor that are looking to business opportunity here. I too like the idea and are looking for locals conglomerate with such interest. I will arrange a meeting and presentation if needed. Any chance you can lead me to it ? 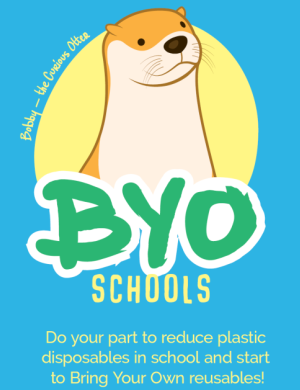 I’m interested in helping you start your glass recycling program/plant. Maybe we can discuss more. You can email me at sowyun@gmail.com or call me at +65 9009 8453. I’ve been collecting glass bottles from my cafe for a couple of months and brought it to a recycling company in Kranji to sell. To my surprise they not only didn’t want to pay me anything but they wanted to charge me for “disposal”! Is that possible? 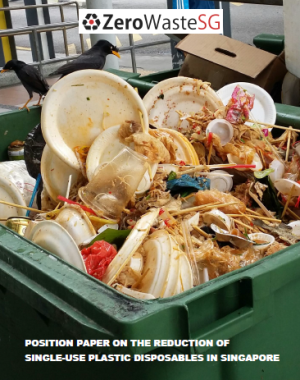 I spoke to the manager who told me that it is because they don’t do the actual recycling in Singapore and that it needs to be sent to Malaysia. It doesn’t make sense to me. How is that different from recycling paper or metal? Why would anyone bother transporting waste glass to a collection facility instead of dumping it together with regular refuse? Yes it is true – we have to pay for glass bottle recycling. Why would any one do it? Because what we pay for glass bottle recycling may still be cheaper than throwing it away as rubbish at $76 per tonne. I feel that if supplier can collect back the bottles eg bird nest,chicken essence bottles, They are thick, won’t break easily, just rinse, put it back into the box and pass to the shop, like before, they use to collect drink bottles back. Do glass recycling companies/collectors require the bottles to be unbroken/unshattered when given to them? Hi, can a tempered glass table top be recycled? Dear everyone, I’ve recently started to grow hydrponic plants and have been using plastic food containers.If however, I may receive anyone’s kind contributions of glss jars or bottles or jars, I will be happy to have them cleaned andrefashioned into pretty recrafted or painted) jars for plants in hope of promoting both the aesthetic and health benefits of having indoor plants. 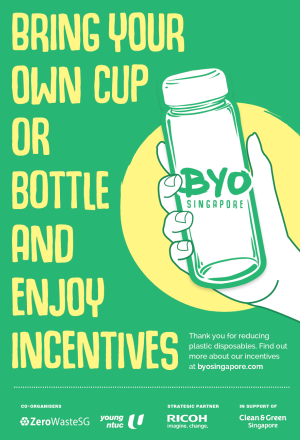 If anyone is willing to donate their glassbottles to me for recycling, please contact me at leslie_ang@singnet.com.sg so we may coordinate pickup according to your convenience. Thanks much! 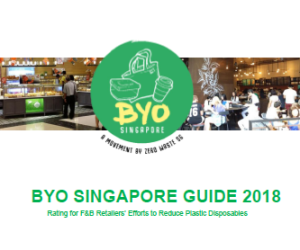 cheers to zero waste and an even greener indoor Singapore! Hi. Can Brand’s chicken bottle be recycled as glass ? It has a plastic ring around the neck after the plastic cover is removed ? Thanks. Can I recycle nail polish bottle through the public recycle bin? they are free of Formaldehyde, Dibutyl Phthalate (DBP) and Toluene, Formaldehyde Resin and Camphor.